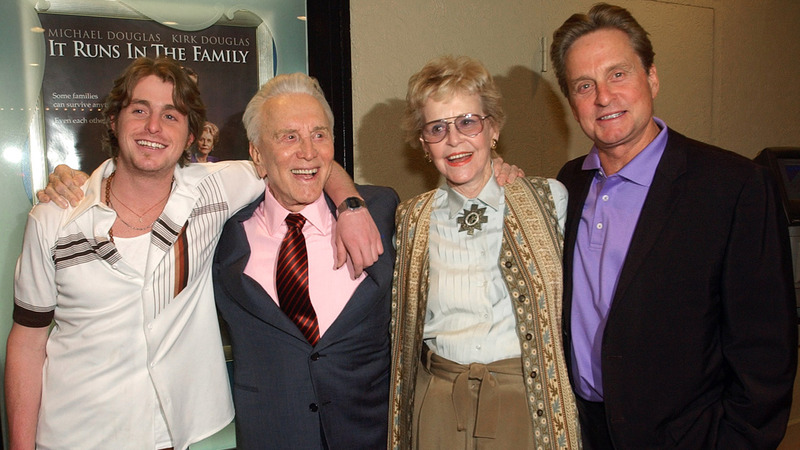 LOS ANGELES -- Diana Douglas, the first wife of Kirk Douglas and mother of Michael Douglas, has died in Los Angeles. She was 92. Michael Douglas's production company says she died of cancer on Saturday at a movie industry retirement home in Woodland Hills. They remained on amicable terms and appeared together in several later films, including her last movie, 2003's "It Runs in the Family."